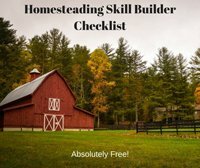 Can You Make Money Homesteading? 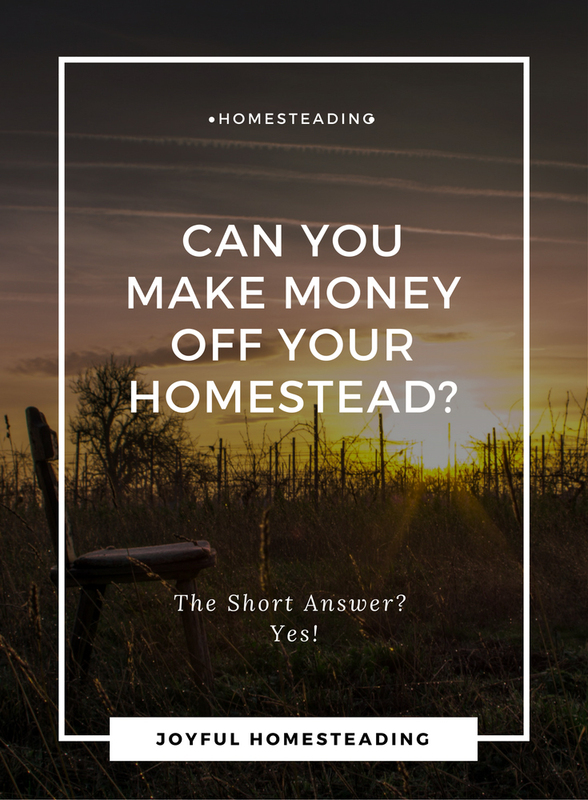 Can you make money homesteading is a question I often get when it comes to self-reliant living. It's wonderful to have healthy food and an acreage, but can you make money doing it? The answer is, it's possible, but it requires a different outlook on life. Those of us who pursue self-reliant living aren't necessarily looking for a large paycheck. Instead, we are pursuing a lifestyle of simplicity, which also means living on less. Spend enough time in the nine-to-five grind, and you realize that a larger paycheck isn't going to make life easier. The more hours on the job, the more money you spend on things you don't necessarily need or want and the more debt you get into and then the harder you work. So the first thing you have to realize is that self-reliant living is frugal living. 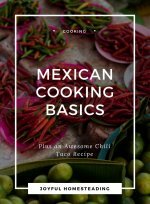 You learn to cook from scratch to save money and eat more healthy, to make items rather than buy them, to grow your own food and eliminate clutter from your life. Also, you learn how to get out of debt and maybe even build your own home to cut down on costs. By learning to live on less, you need to earn less money, and then, yes, pursuing your own at-home business makes sense. And if you can make money homesteading, you not only benefit yourself, but those around you as well. How so, you wonder? 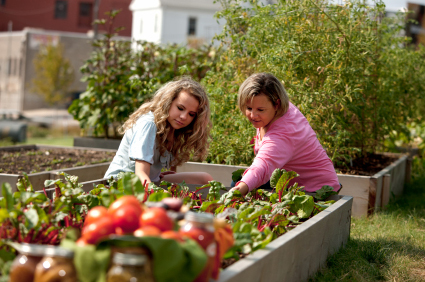 Here are some ways you can make money homesteading that will help your community. Right now, far too many of us are consumers, but not producers. We buy our food ready made from farms far away or sometimes even overseas. That's bad for our economy, which at the time this article was written, is in scary-bad shape. The only way we will improve our economy is if we begin to produce. 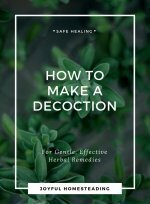 Whether it's locally-made soap, beeswax products, fresh eggs or goat cheese, being able to produce what we need will help you be able to withstand whatever hard times may - or may not - be headed our way. I know a couple who sells raw milk based on the cattle share system. People purchase a share in a cow or cows and then receive fresh, raw milk once a week. This couple has a two-year waiting list of people who want to participate. Whether it's raw honey, tilapia, eggs or locally produced vegetables, people want what you have, and are willing to pay for it. 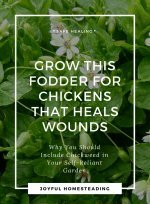 Can you Make Money Homesteading? You will have to start gradually and work a day job until you earn enough money to pursue your business full time, but it's very, very doable. If you're reading this article, then you are part of the minority who realize the need to produce much of what you need. There are many in our community who won't know how to do that until it's too late. You can impart skills to these people, such as how to butcher a chicken, how to milk a goat, how to make soap or how to forage for food. Holding homesteading classes is a great way to earn a part-time, and eventually full-time income while helping others in need. If you can make money homesteading, it's because you put in many hours of hard work to get there. Nothing is free or cheap in this world. But if you learn to live frugally and debt free, earning that living will be much easier. Also, you're likely not going to get rich in any of these pursuits, but that's not the point. The point is in pursuing a self-reliant lifestyle, where you work from home (hopefully your acreage) eating good-quality food, breathing fresh air and learning to slow down and enjoy life.